Few people saw this coming. Duke Energy — whose corporate power touches the lives of every North Carolinian every day — whose outsized political influence exerts itself via hundreds of thousands of dollars in campaign contributions every election — whose former employees-turned-state-officials, ex-Gov. Pat McCrory, ex-State Rep. Mike Hager and sitting State Sen. Paul Newton, among them, have represented the utility’s interests to the degree that at times the utility seems to operate as a shadow government — Duke Energy did not get what it wanted. 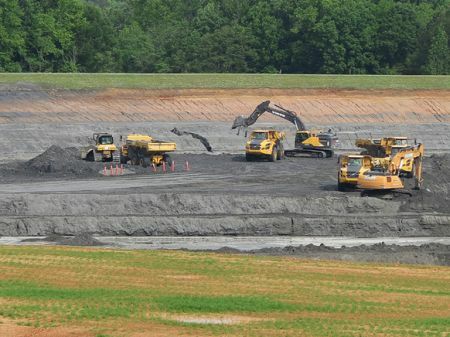 On April 1, the NC Department of Environmental Quality determined that the utility must remove all coal ash from its remaining nine impoundments at six plants in North Carolina: Allen, Belews Creek, Cliffside/Rogers, Marshall, Mayo and Roxboro. According to the order, Duke can move the coal ash– roughly 100 million tons in total — to lined, dry landfills, either onsite or offsite. The utility can also recycle the ash at beneficiation plants, which prepare the material to be reused in concrete. Three such facilities are planned for North Carolina: in Wayne, Chatham and Rowan counties. A cleanup plan is due to DEQ by Aug. 1. Historically, Duke has had a way of blunting its punishment, through the reduction of state fines, reclassifications of risk, and extensions of time. Now watchdogs say their next task is to monitor how thoroughly the utility implements DEQ’s order. They also are preparing for Duke to try to pass along to ratepayers the bulk of the utility’s additional cleanup costs, estimates some advocates believe are inflated. “There’s another fight coming over the rates,” said Hope Taylor, executive director of Clean Water for North Carolina. “It’s completely unfair” to place all, or the majority of, the financial onus on Duke customers. Duke opposed full excavation of its unlined pits, arguing that the economic and environmental costs of excavation at these sites didn’t outweigh the benefits. Bill Norton, a Duke Energy spokesperson, said the utility’s own science and engineering show the six remaining sites are safe for long-term storage. Full excavation and dry storage would add $4 billion to $5 billion to the current estimate of $5.6 billion for remediations at its plants in North Carolina and South Carolina. In addition, the utility said it can’t meet the state’s 2029 deadline for a full clean up, nor the EPA’s of 2034 — deadlines, if history is any indication — that can be extended. “Once the utilities have to do it, they beat their time estimates,” said Frank Holleman, senior attorney at the Southern Environmental Law Center, which has sued Duke Energy several times over its closure plans. Instead, Duke first advocated for a “cap in place” approach, in which the existing impoundments would have been capped with a synthetic cover to help keep the ash dry and prevent erosion. With that approach looking doubtful, the utility then developed a hybrid model that would have included an onsite landfill for some of the ash and the rest being left in capped, unlined pits, which would have seeped contaminants into the groundwater for an untold amount of time. DEQ, though, says the science is clear: Only full excavation and dry, lined storage can adequately protect human health and the environment. Five billion dollars is a lot of money, even for a utility whose accountants routinely deal in numbers with nine zeros. The company’s gross revenue for 2018 was $24.5 billion; its gross profit was $10 billion. But for Duke, spending billions has precedent: In 2016, it purchased all shares of Piedmont Natural Gas common stock — for $5 billion. The cost of the Atlantic Coast Pipeline has now ballooned to $7.5 billion and is expected to increase. Although Duke co-owns the project with Dominion, just half of that amount approaches $4 billion. Duke’s filings to DEQ outline how it arrived at various cost estimates, including the $5 billion figure for complete removal. However, it has been common for utilities to overstate both the expense and the time required to deploy a full excavation and landfill system. And whatever the cost, it would be spread over many years. In Virginia, Dominion Energy initially estimated it would cost from $2.5 billion to $6.5 billion and take 20 to 50 years to excavate and recycle 30 million tons of ash. A subsequent estimate showed an upper cost of only $3.3 billion – about half of the original maximum amount. Dominion also revised its timeline to just over a decade. Santee Cooper, a utility in South Carolina, estimated it would cost $100 a ton to excavate its ash; it actually cost only $20 a ton. Excavation is also common for utilities, including Duke. Facing several private lawsuits, Duke eventually agreed to fully excavate all pits at eight sites in North Carolina. Since 2014, the utility has completed, or has nearly finished, excavation at Riverbend in Gaston County, Asheville in Buncombe County and Dan River in Rockingham County — a total of 16 million tons. The utility is scheduled to finish digging up Sutton in New Hanover County by Dec. 1. Sutton had been scheduled for an earlier completion date, but Hurricane Florence hampered excavation work last fall. 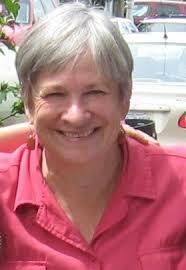 DEQ granted Duke a four-month extension. In South Carolina, Duke agreed to excavate 7.5 million tons of ash from two of its facilities, Robinson and WS Lee, which is far less than the total to be dug up in North Carolina. Roxboro’s two basins contain seven times the amount of ash as the Robinson site, Norton said. In its press release this week, the utility said the cost was for cleanups in the “Carolinas,” so it is possible that the South Carolina expense is included, as well as expenses that would be incurred regardless of the remedy. Although Duke’s own cost estimates say transporting the ash offsite to dry storage is often more expensive than depositing it onsite, the former method is still an option. There are site-specific considerations that could require some off-site storage, though. In South Carolina, millions of tons of ash from the WS Lee facility near Greenville were sitting in pits near the Saluda River. Duke had to transport some of the ash by rail to Homer, Ga., before the landfill was built. Because of the urgency of removing ash from the Dan River site, some of that material went to a local government landfill in Virginia, Holleman said. The rest is being encased in a lined landfill. Since the EPA relented to industry pressure and classified coal ash as “non-hazardous,” the material can – and has – been deposited in municipal and industrial landfills. According to maps provided at public meetings about the closure plans, there is room at the sites for an onsite landfill. Besides an impoundment failure, the other primary risk of an unlined landfill is the leaching of contamination into groundwater. Groundwater supplies drinking water to private well owners, of which hundreds within a half mile of Duke’s sites have been forced to rely on replacement water supplies. Duke Energy’s own monitoring has shown groundwater under its plants is contaminated with chemicals and compounds found in ash: arsenic, radium, vanadium, chromium, boron and more. DEQ’s order requires Duke Energy to submit a corrective action plan for groundwater contamination by Dec. 31. “We need to remove the contamination” — possibly through a pump and treat system — and have an “ongoing monitoring program,” Taylor said. “The groundwater contamination goes to the edge of the property,” and in some cases, beyond. Removing the source of the contamination could significantly reduce contaminant levels in the groundwater. Although the soil characteristics at each site are different, in South Carolina, Holleman said, the arsenic level in groundwater dropped up to 90% at one site after the ash was removed. Since DEQ’s announcement, Duke Energy has publicly stated that it is weighing “all options” about the agency’s decision. DEQ Secretary Michael Regan explained earlier this week that the agency rule is both based on science and in compliance with the Coal Ash Management Act (CAMA), passed in 2014 and amended in 2016 by the legislature.